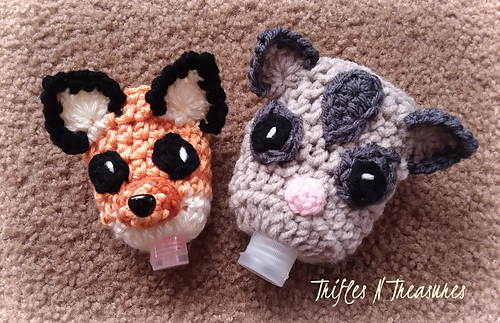 The Cozy Critters pattern pack has arrived for cold and flu season! 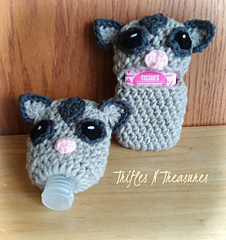 You get a tissue tote, sized specifically for travel size tissue packs, and TWO sizes of hand sanitizer cozies to fit travel sized sanitizers! 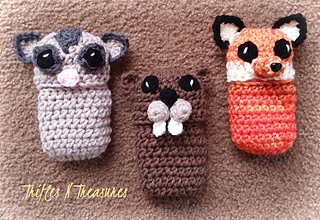 Plus, all the parts and pieces to create a fox, sugar glider, and otter/beaver! 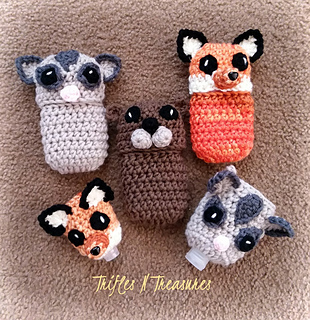 These are a quick work-up, and a great way to use up leftover bits of yarn!